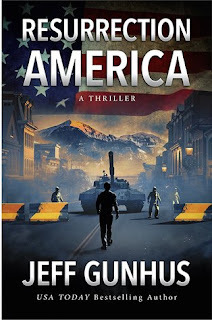 When helicopters and armored vehicles filled with soldiers in hazmat suits quarantine the small mountain town of Resurrection, Colorado, Sheriff Rick Johnson feels like the Jihadi wars have followed him home. But while the town follows martial law out of fear of a virus released into the air, Rick isn't buying the official version of events. As he investigates, the cover story unravels and he discovers the military's presence and the salvation they offer isn't what it seems. An opportunity to review this book fell into my lap just before the challenge started and I was so excited. 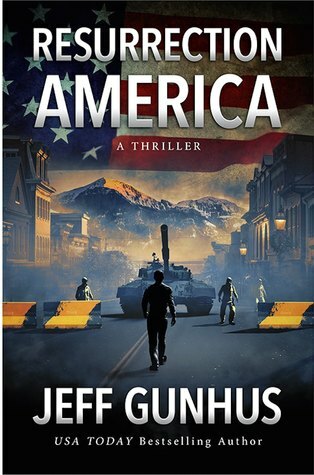 Jeff Gunhus holds a special place in my heart as an author due to my deep love for his Monster Hunter series. This book is far from a kids book but I enjoyed reading it just the same, his writing style really draws you into the story.